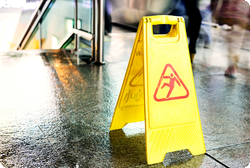 Promote safety in your workplace with Slips and Falls education. This online training module covers how to prevent slips and falls from occurring by practicing good housekeeping and paying attention. Your team also learns how to comply with federal requirements for providing a safe working environment.